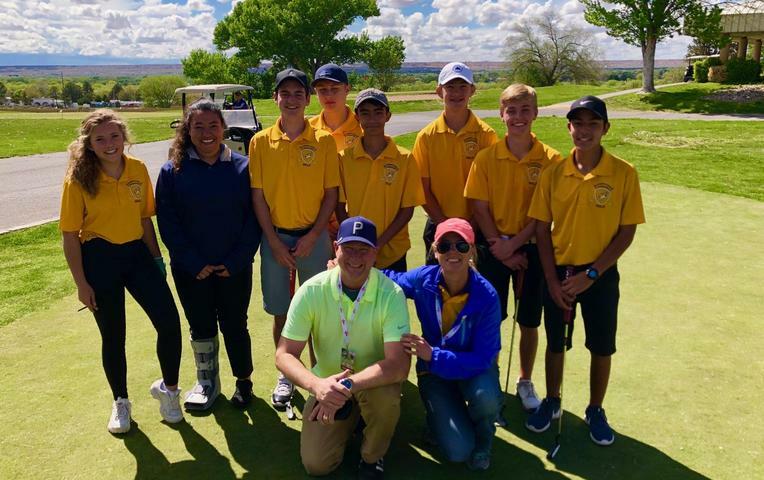 Golf team representing CCPS with class at the Abby Paiz Invitational in Belen!!! More coyotes on the golf course!!! 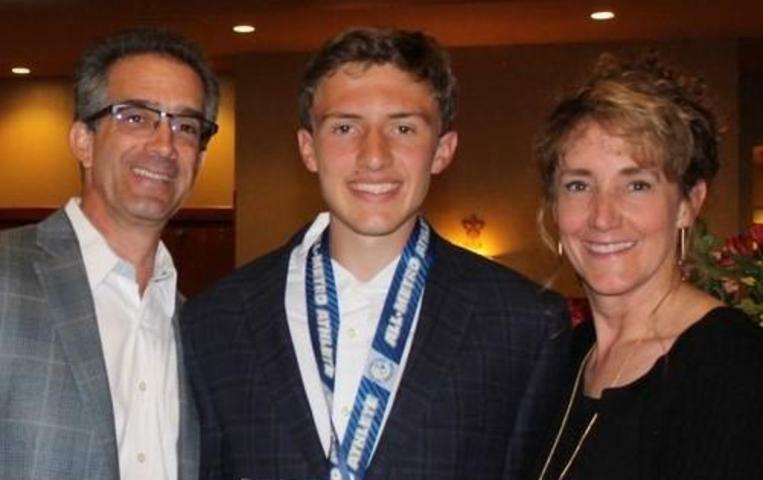 Wait, I don't think that kid is in dress code! 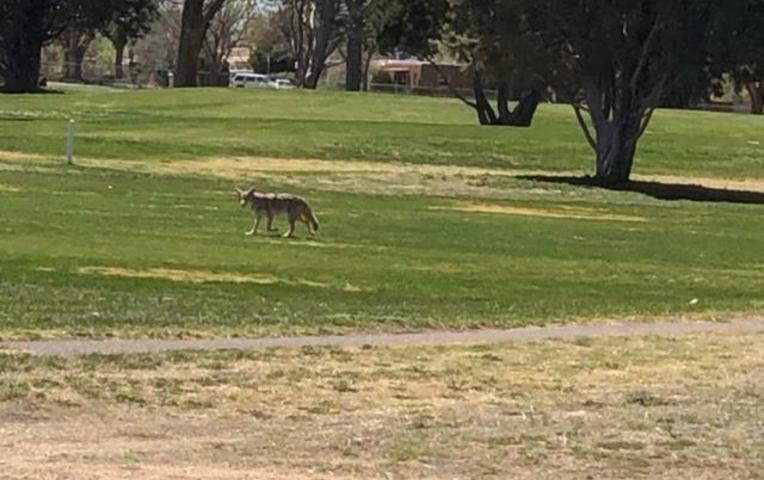 This fellow Coyote decided to check up on our golf team at their recent tournament! Hello from Peru!!! 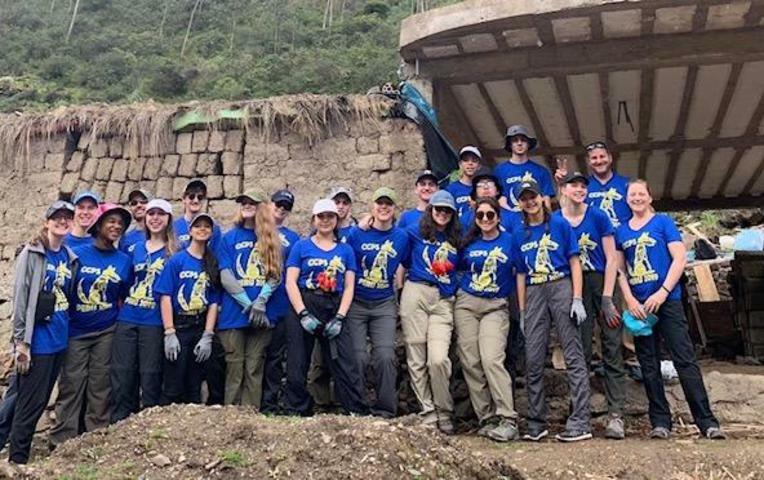 Coyotes working and playing hard in South America! 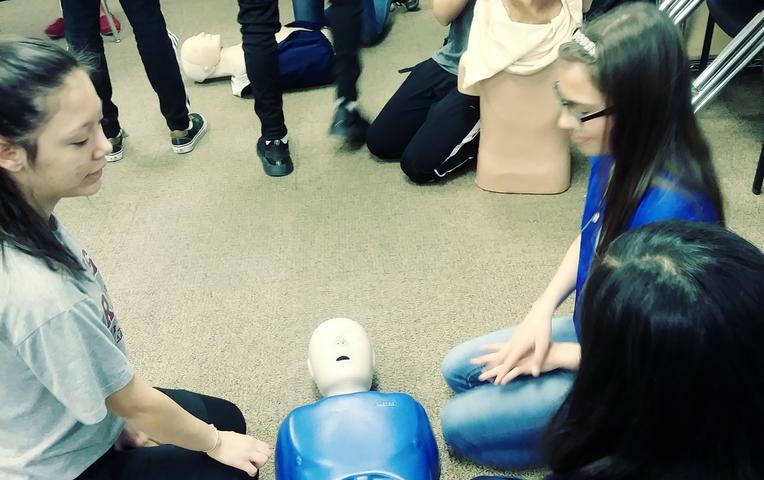 Health students getting ready for CPR practice with Ms. Annette Rodden. 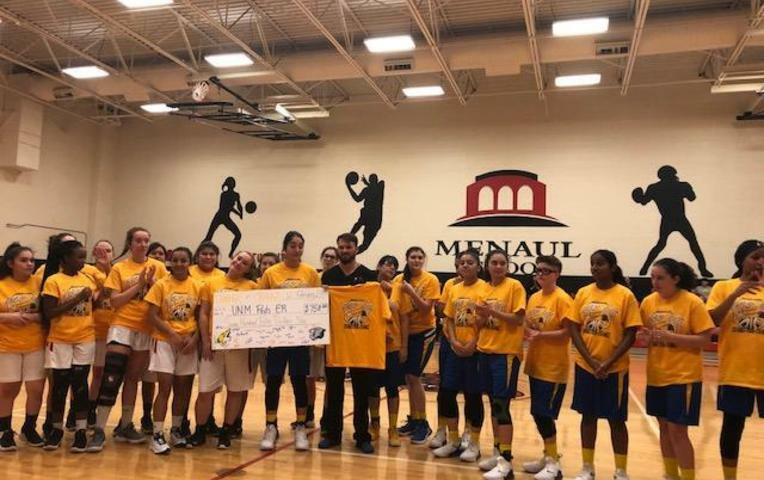 Members of the CCPS and Menaul Girls Varsity Basketball teams present a check to UNMH Peds ER from their Change for Change Challenge!!! 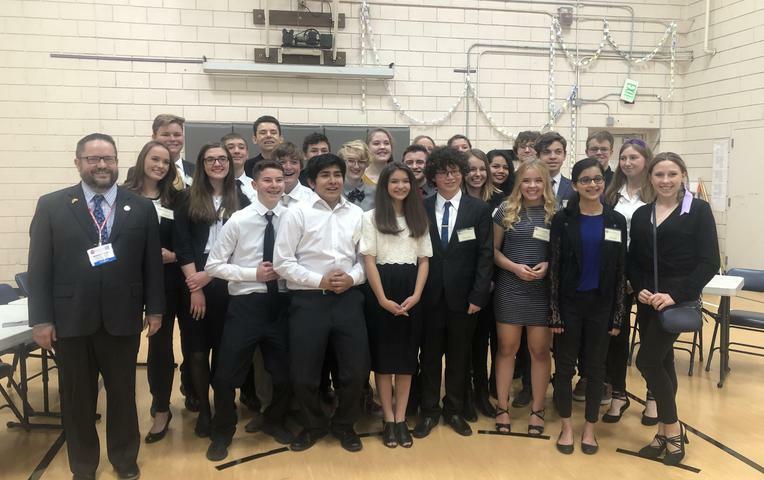 We The People during a recent competition! 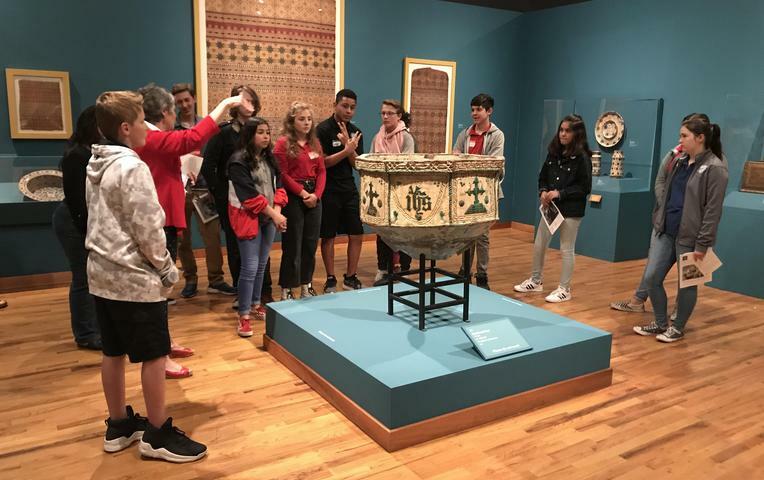 Mr. Armijo's Spanish I class at the "Visions of the Hispanic World" art exhibition learning about the Iberian peninsula and Spanish colonies. Musical collaboration between Spanish and Music classes around Las Mananitas! 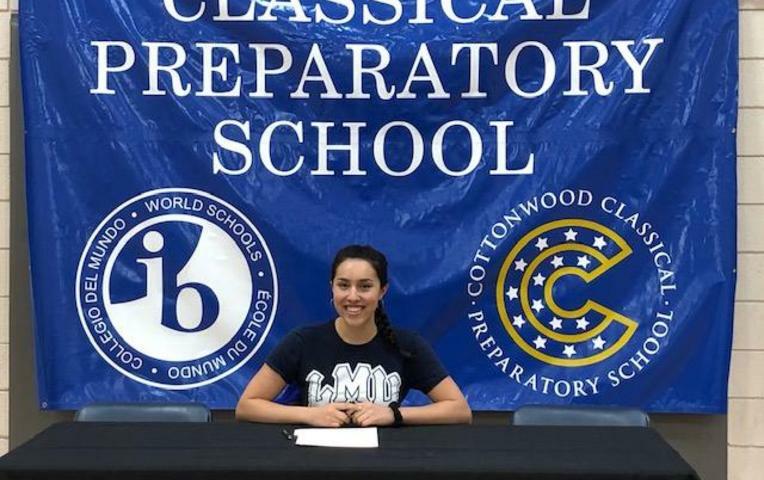 CCPS Senior Risse Sanchez signed her letter of intent to play water polo at Loyola Marymount University! 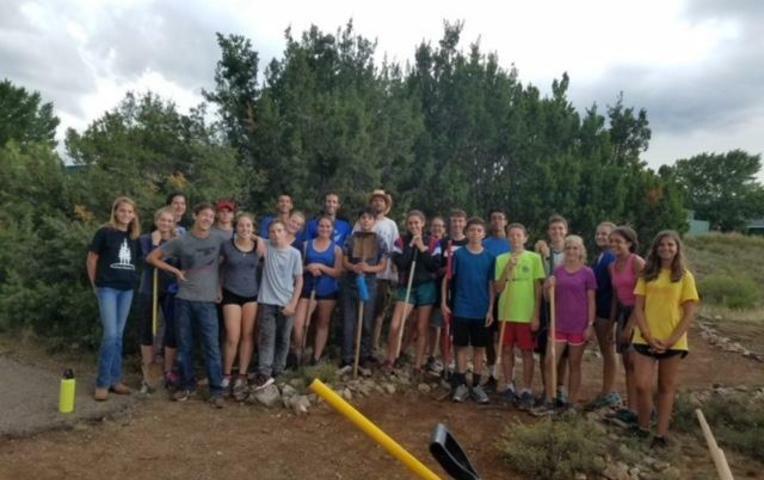 CCPS Cross Country team joined East Mountain HS for a little trail restoration in preparation for the Nick Martin Memorial Meet on Sept 29th!! 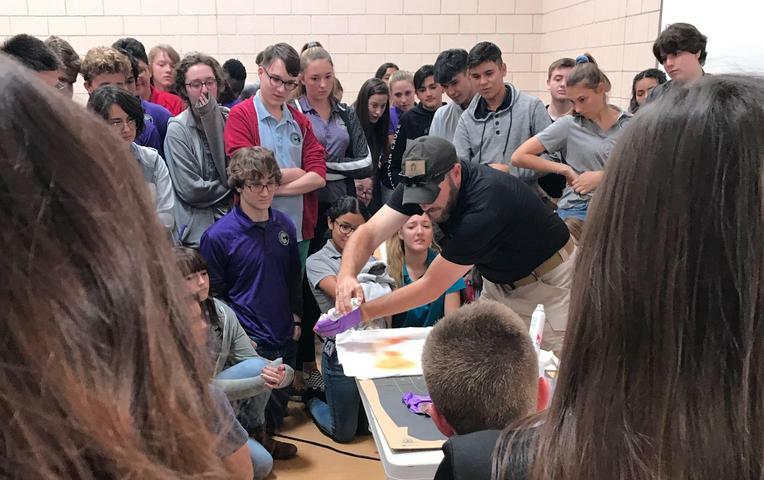 10th grade Chemistry students getting some forensic chemistry shown to them by Mike Haag with APD Crime Lab! Educating the whole child for the whole world.